Screen Australia has announced funding for five documentaries through the Documentary Producer program. The projects include a portrait of celebrated Australian artist Sir Sidney Nolan; life as an elder of the LGBTQI community; the story of the first national women’s rugby league team from Papua New Guinea (PNG); and a look at the disconnect between education and culture as told through the eyes of children from Indigenous communities in the Northern Territory. Observational feature documentary Kids, which will follow 10-year-old Arrernte boy Dujuan in Alice Springs – both into and beyond the school gates – as he navigates the cultural divide in education, offering a chance to see learning and success in a new light. It’s produced by award-winner Sophie Hyde with Rachel Edwardson, Larissa Behrendt and executive producer Felicity Hayes. Rising talent Maya Newell (Gayby Baby) will produce as well as direct. This project has also secured support from Good Pitch² Australia and the Documentary Australia Foundation (DAF). Flaming Star Films’ Nolan – the Man and the Myth, a celebration of one of Australia’s best known modern artists, Sir Sidney Nolan. Taking viewers on an epic visual journey, this one-hour special will explore Nolan’s life and iconic paintings from the early years through his stellar international career, and all the success and turmoil that came with it. Produced by Lavinia Riachi; executive produced by Julia Peters and Sharyn Prentice; and written and directed by Emmy® nominated Sally Aitken, this documentary will be broadcast on the ABC and internationally on the BBC and has also received Film Victoria and DAF support. Underdog story Power Marys, which follows the journey of PNG’s first national women’s rugby league team, the PNG Orchids, to the 2017 World Cup in Australia. These trailblazers must not only beat their opponents but also intense prejudice, a lack of funding, and their own personal demons. The Media Stockade feature comes from experienced producers Madeleine Hetherton and Rebecca Barry who will mentor video journalist Joanna Lester as she makes her directorial debut. This project has also secured funding from the US Department of State via the US Embassy, Department of Foreign Affairs and Trade (DFAT), the National Rugby League (NRL), DAF and ABC International Development. Immersive feature documentary Rockabul, which takes a look inside a decimated nation to witness the birth, rise and implosion of Afghan rock music. Directed and produced by first-timer Travis Beard – an Australian resident of Afghanistan – Rockabul is also produced by Brooke Silcox; co-produced by Christian Falch and Torstein Parelius; and executive produced by Eddie Martin, Leslie Knott, Clementine Malpas and Faith No More band member Bill Gould. The Coming Back Out Ball, an examination of the issues faced by an ageing, often invisible generation of LGBTQI pioneers. 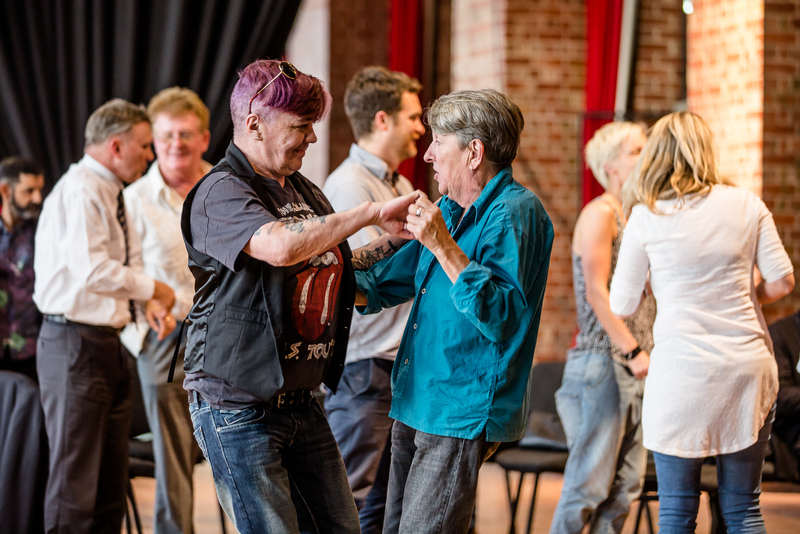 Set against the backdrop of a spectacular ball held in their honour, this feature documentary will follow a group of LGBTQI elders who are faced with the uncertainty of life in aged care. Produced and directed by Sue Thomson alongside producers Adam Farrington-Williams, Roger Monk and Tristan Meecham; and executive produced by Michael McMahon, Tony Nagle and Shaun Miller. This project has also secured support from DAF. In addition to the titles outlined above, Screen Australia’s documentary department has also provided funding to three other projects in 2017/18 through the Documentary Commissioned program. These are: Making Child Prodigies, 100 Days to Victory and HERoes. Here are a selection of images from the documentaries that received funding.